Why is it hard for gay men to find love? Check out this (old) article written for Attitude Magazine in 2014, about the difficulties of being gay and finding love. During this short period of time, it feels that things have changed a lot. However, it is still hard to find love in the gay community. The straight-acting, masculine, manly man is idealised to the extent that more effeminate men can feel alienated. Many gay men feel that they have to act ‘more straight’ to be attractive. What does this do for us psychologically? Shouldn’t we be striving towards a society of acceptance rather than still supporting a culture where we have to fit certain norms within our subgroup? Can we instead celebrate our differences and value that it is in owning these differences that we actually become more attractive – puffing out our chest, lowering our voice and wearing a mask is certainly no turn on for me. However, having the courage to be authentically you, owning it, warts and all – thats pretty hot! Online dating in the gay world, can be very harsh. For example, where else in the world today would you see “no asians” or “no blacks”, like you do at the top of online dating profiles. They say it’s just about attraction, not racism, but it’s never okay to say this stuff, even if it is just to save time on your grindr dating profile! I think any profiles with these harmful words should be taken down. I also want to talk about attraction. 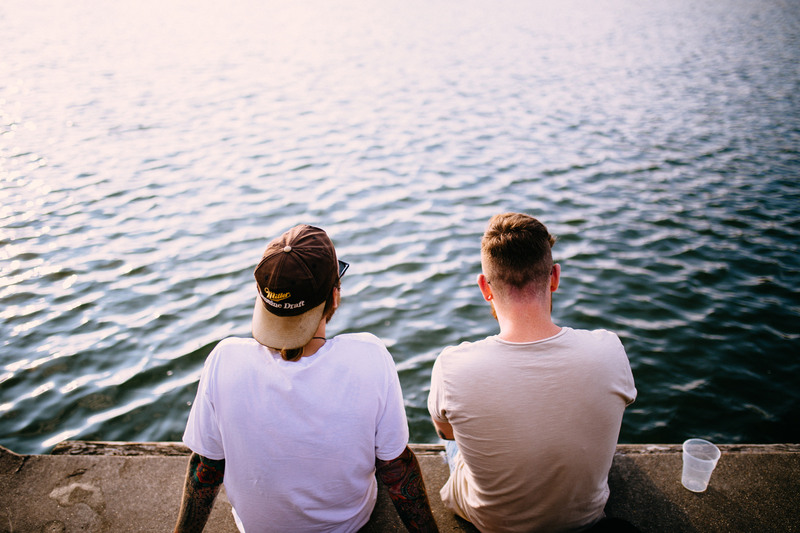 We are not only caught up on how our partner looks, but, in my experience, many gay men have very rigid ideas of the ‘type’ that they are seeking. They have to have a beard, they have to be taller than me, they must have a…, agh! By the time we get through all of your tick boxes, there are only two guys left and let me tell you, one is not interested in you and they other is actually not a good match for you because you are looking for all the wrong things. What actually matters in a relationship? Yes attraction matters and if you allow it, attraction can be far broader and deeper than we give it credit for. Chemistry matters and you have to put yourself out there to see if you feel it – you can’t predict it. Values matter, the core, meaningful stuff – dreams, goals etc. Personality matters… and having some interests in common. But what also matters is kindness, happiness and acceptance – being with someone who can love all of you, unconditionally, and who you can do the same for in return. When you put up these obstacles about what you can’t love in other people, it says more about you than it does about them. Drop your guard and open your mind.